Hailing from Jávea, a beautiful coastal town a little south of Valencia on Spain’s east coast, the Ribes family has been a driving force in local business for around a century now, originally leading the way in making this one of the most important orange-exporting regions in Europe and later establishing the real estate firm that has grown into a highly prominent one today. 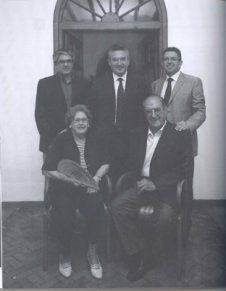 Rimontgó was founded on principles of integrity and quality, which along with hard work and dedication lead to its success. From establishing a property sales and complete maintenance, management and construction service to mostly foreign buyers in the Jávea area, Rimontgó has become an internationally respected specialist in luxury real estate. From its offices in Jávea and Valencia, and through linkages with elite firms throughout the world, the company offers an international clientele top real estate both in Spain and beyond. The beautifully produced book commemorates this journey and traces the route from fruit exportation in a mostly agrarian environment through adaptation to civil war and depressions up to the founding of Rimontgó, its growth and how it became a force behind the creation of The European Real Estate Network, EREN. Though a corporate publication, this is not a dry story of facts and figures boastfully presented with all the personality of a sales brochure. 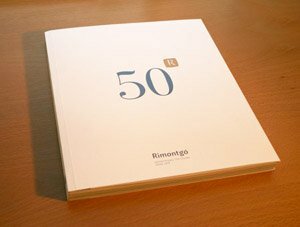 The history of Rimontgó is above all a very personal story that charts the lives of a family and how they overcame turbulent times to create something that is not only a commercial institution in the region, but one that has stood for all the best principles in business for over 50 years. This entry was posted on Tuesday, August 28th, 2012 at 12:54 pm	and is filed under Business and technology, Copywriting, Freelance Writing. You can follow any responses to this entry through the RSS 2.0 feed. Both comments and pings are currently closed.